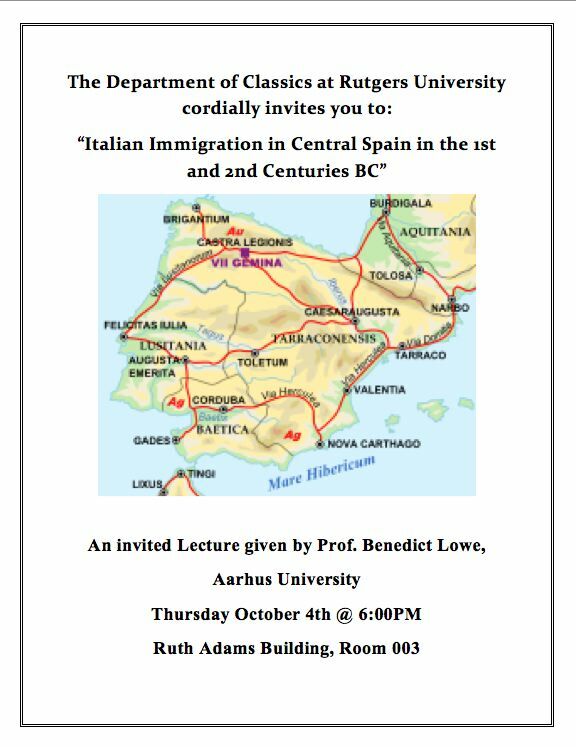 Benedict Lowe is a classical archaeologist who has worked on projects in Britain, Israel, Jordan, and Italy. His main research focus is on trade and the ancient economy. 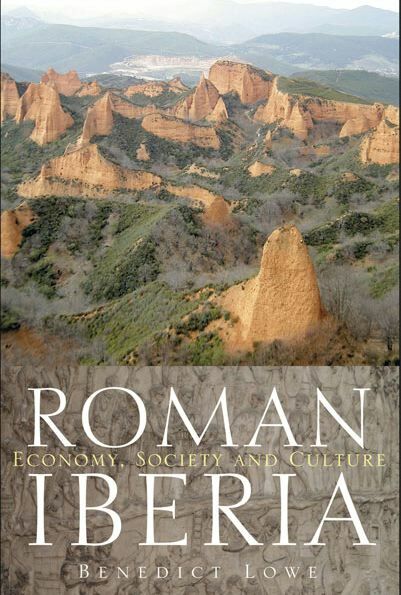 Notably, Lowe’s 2009 book Roman Iberia: Economy, Society and Culture (Duckworth) was the first study of its kind to examine the economic impact of Phoenician, Greek, and Roman culture upon the Iberian peninsula up until the 1st century AD. Lowe is also a principal researcher for the Pompeii Food and Drink Project, a program that sponsors non-invasive research to discover more information about daily life in the early Roman empire. Lowe and his team have been identifying rooms and spaces in Pompeii associated with food and drink in residential, commercial, public, and religious structures. They then compiled the data into the online Food and Drink in Ancient Pompeii Codex. RU Classics graduate students Scott Barnard and Nicole Freeto organized the event for the Classics GSA. And this is just the tip of the proverbial iceberg. You can view a list of some forthcoming GSA-sponsored lectures (through April 2013) here.